More and more people are working remotely today. Arrangements that allow people to work from home have grown 80 percent since 2005, which helps families that often relocate, like those in the military, find consistent work. Studies have also shown that remote employees are just as productive as in-house staff. So employers are investing more and more in hiring remote employees. It’s a win-win situation. While remote jobs are in large supply, you’ll have a better chance of finding them if you choose work that lends itself to working from home. Jobs in writing, programming, web design or call centers are plentiful. Even office assistants are working from home today. Choose a career or role that can be performed and delivered through online methods. If you want to supervise a product assembly or work in a brick-and-mortar retail store, don’t expect a remote job offer. Jobs that require workers on-site are less likely to advertise for remote work because it doesn’t match their needs. You need a new approach for remote job searches. Use the keyword for the position you want, but add the word “remote.” That way, you filter out onsite jobs and won’t spend time wading through results that don’t apply. Looking for a writing job? “Write” and “remote” are your key words. Call center work? “Call center” and “remote” should bring you available positions. Spread your search across different job-listing platforms like LinkedIn, Monster or Indeed to get more results. If you’re a programmer or designer, here’s a list of 45 great tech job boards. Most resumes are submitted and received online. With a remote position, your materials need to sync with the online world and pass through automatic pre-filters. Never use fancy fonts, rules or symbols. Online scanning systems may see these as foreign and throw them out. If they do, your resume will never reach the company’s human resources team. If you want more information on how to format your resume for success, read this article. Demonstrate your ability to follow instructions with your application. If the posting wants a list of related college courses, include your relevant classes. Strengthen your resume by using the same keywords as the job posting in your application. If they ask for a certain format on your resume, give it to them. This sounds like a small detail, but employers want someone they can trust for their remote jobs. When they won’t see you each day, they need to be sure you’re reliable and careful with your work. It’s essential you demonstrate reliability and the ability to follow-up during the application process. Be on time for your interview. That means you’re at the telephone or computer 5-10 minutes beforehand. Send a thank-you note within 24 hours. Respond promptly to any e-mails. If employers have any concerns over your candidacy, your timeliness and follow-up email could set them at ease and distinguish you apart from other candidates. Online platforms are the reason remote jobs can exist, which is why your online skills need to be top-notch. Make sure your emails are error-free. Make sure you’re comfortable using Skype. Many employers use it for interviews and team meetings because it lets you meet face-to-face. Log into Skype and practice answering questions with a friend. If you’re unfamiliar or fumble over controls during your interview, it could lose you the job. Remote positions are more common than ever. In fact, in 2016, 43 percent of American workers spent time working out of the office. Whether you’re a student, military family or someone who just wants a flexible schedule, remote work is an excellent solution. Start your search by using these tips to find, apply and interview for your next job. 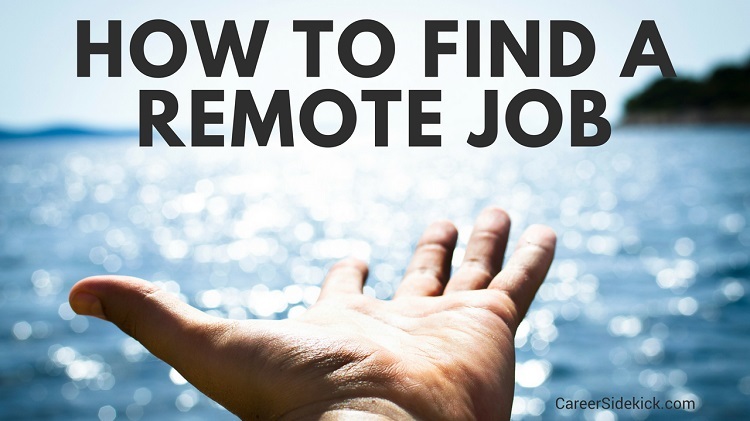 Editor’s note: We recently published a new article with 17 new tips for how to find a remote job HERE.